University of North Carolina Press, 9780807828649, 384pp. Best known as the hero of Little Round Top at Gettysburg and the commanding officer of the troops who accepted the Confederates' surrender at Appomattox, Joshua Lawrence Chamberlain (1828-1914) has become one of the most famous and most studied figures of Civil War history. After the war, he went on to serve as governor of Maine and president of Bowdoin College. The first collection of his postwar letters, this book offers important insights for understanding Chamberlain's later years and his place in chronicling the war. The letters included here reveal Chamberlain's perspective on military events at Gettysburg, Five Forks, and Appomattox, and on the planning of ceremonies to celebrate the fiftieth anniversary of Gettysburg. As Jeremiah Goulka points out in his introduction, the letters also shed light on Chamberlain's views on politics, race relations, and education, and they expose some of the personal difficulties he faced late in life. 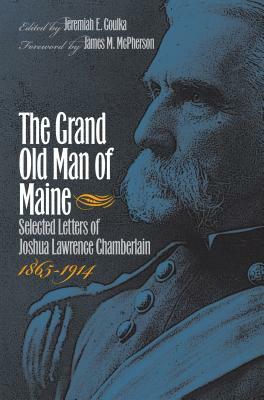 On a broader scale, Chamberlain's correspondence contributes to a better understanding of the influence of Civil War veterans on American life and the impact of the war on veterans themselves. It also says much about state and national politics (including the politics of pensions), family roles and relationships, and ideas of masculinity in Victorian America.